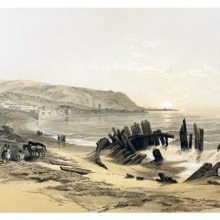 The modern town stands on a promontory rising to a height of 150 feet above the sea, and bearing to the North-west of Jerusalem, at a distance of about forty-five miles. 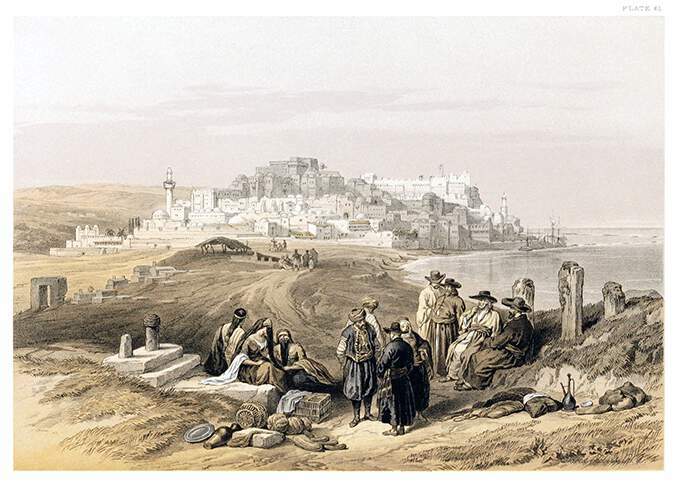 From its commanding position, Jaffa has a striking aspect on the sea-side; and its land view is bold and extensive. 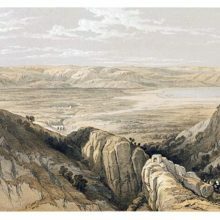 On the South, it overlooks a wide and rich succession of plains spreading to Gaza; on the North, its horizon is the noble ridge of Mount Carmel; on the East, the hills of Judah exhibit every form of mountain magnificence; on the West, lies the boundless beauty of the Mediterranean.